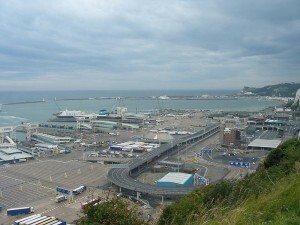 Dover Port is one of the best known English ports, being famous especially for the millions of passengers it handles year by year. There are no less than 16 million travellers heading from Dover Port to amazing cruises. This harbour features the Western Docks and the Eastern Docks, both of them offering ferry services. The Dover Marina is the best attraction in the area. It has also received various prices over the years. If you own a boat or a yacht, this is the place to be. If you simply want to rent a yacht, you should also go there. Dover Marina offers necessary amenities such as shops, various supplies and, of course, fuel. There are also a couple of leisure places where you can sit in the summer and just admire the boats as they sail away. The Marina also features 24/7 security and fast Internet connection and it even incorporates 2 clubs that offer different benefits: the White Cliffs Motor Boat and Yacht Club and the Royal Cinque Ports Yacht Club. Dover itself is worth a visit, as it features top attractions like The Pines Garden, Dover Transport Museum, South Foreland Lighthouse, Secret War Time Tunnels and, the most famous of all, Dover Castle that should definitely not be missed. 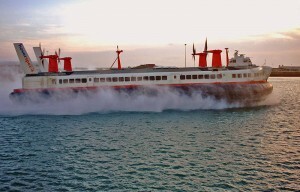 There are various methods of getting a Heathrow to Dover Port Transfer. Accordingly, to what you like most, you can travel by train, by bus or by taxi. They all have their advantages and disadvantages. You have one train service running from Heathrow Airport to Dover Port. Unfortunately, with this option, you will have to change 4 trains. First of all, you must take the fast service called Heathrow Express going to London Paddington Station. This initial transfer will last 16 minutes. Following, you must take a Tube to Kings Cross St Pancras Underground Station and from there the National Rail service to Dover Priory. This last journey will take around 1 hour and 7 minutes. Finally, from the railway station, you could take a ferry or a taxi if it’s more accessible for you to get to the actual port. The Heathrow to Dover Port Transfer by train will last approximately 2 hours. The total cost will be £44. You also have the option to travel from Heathrow to Dover by bus. From Heathrow Central Bus Station, you can take line N9 London Bus to Hammersmith Bus Station. The bus comes every half an hour and the journey will take almost 40 minutes. From Hammersmith, you can take line N11 to Victoria Coach Station, an hourly service. Lastly, from London Victoria, you must take the Eurolines coach to Dover Ferry Port in a journey that will last 1 hour and 53 minutes. The transfer by bus from Heathrow Airport to Dover Port will cost you £20 and the entire trip will last 3 hours and 31 minutes. One of the best transport options between the above-mentioned locations is the taxi. Now, you must be careful because you can choose between black cabs and minicabs. They differ in many aspects. To begin with, you have to watch for the price. It is well known that even if the black cabs are famous all over the world and represent a London symbol, they are quite expensive, as they charge per mile. On the other hand, a minicab can cost you half the price charged by a black cab, especially when there is a long distance between the two destinations. Moreover, the private hire vehicles have fixed prices, meaning that what you get when you request a quote is what you will be paying at the end of the journey. The price for a Heathrow to Dover Port Taxi with 247 Airport Transfer will be £134 for the smallest car, which is the saloon car, accommodating up to 4 individuals, 2 medium luggage and 2 hand luggage. A bigger car, such as an 8-Seater, will be £164. The total time of the journey is 3 hours and 15 minutes, but even though it is a long trip, you should know that it’s going to be a comfortable and stylish one because you will be traveling in clean and luxurious cars. Last, but not least, by booking a Heathrow to Dover Port Taxi you can be sure that you will benefit from great services, courteous drivers and friendly operators. Simply put, you will have such a great experience that you will most definitely want to book again. Latest News: Heathrow still hit by flight cancellations after air-traffic system glitch. Gatwick and Stansted are running mainly smoothly, with some minor delays and some cancellation of inbound easyJet flights to Gatwick.